Before this movie, I would always tell people, "I love Marvel heroes and DC villains." Wonder Woman though was so great that I may have to reconsider that statement. I have not read any super hero comics of any kind, but I really love watching the movies and I think that this may be one of my favorite movies of the genre. 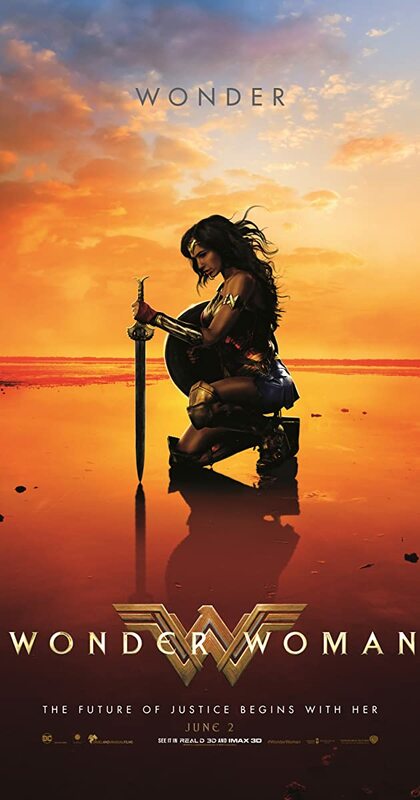 It was the perfect balance of humor, badassery, and plot line and all done in a way that made it fit in seamlessly with every other super hero movie while standing out because it is a female hero. I'm so glad that there is this movie for people to look toward for a woman super hero. Another thing that I really loved about this movie was the tie in with mythology. Again, I have not read the comics, so I didn't really know too much about the movie going into it. But I was really pleasantly surprised with all of the different elements that were incorporated from the gods all the way to the different weapons that the Amazons used. It made my nerdy heart smile. Looking at our heroine herself, there are two big things that stuck out to me. 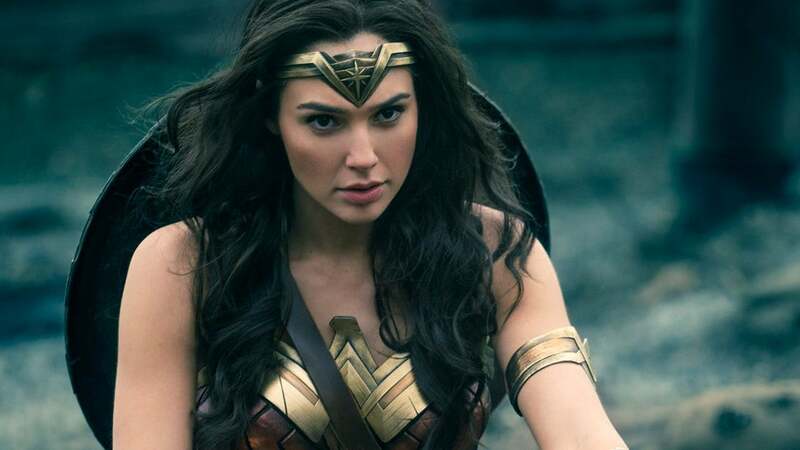 First, I think Gal Gadot did an amazing job. Her acting was phenomenal from start to finish and I am really looking forward to seeing her in Justice League. Second, I read online somewhere (sorry! I forget!) 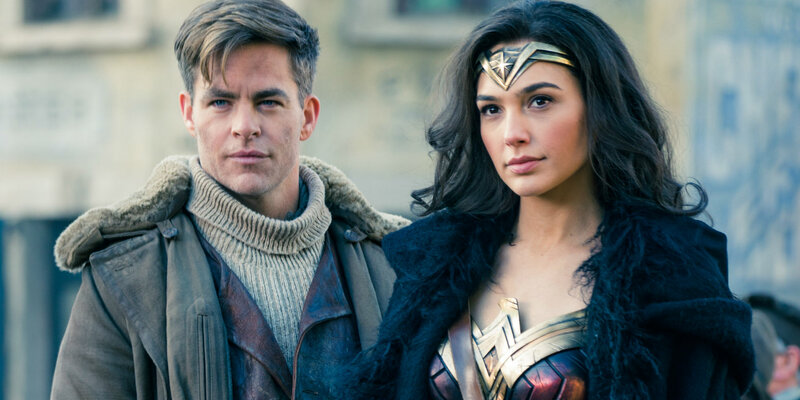 about how the costumes for the women in this movie, including for Wonder Woman, were so much more legitimate in this movie in comparison to the other renditions of it. I have not seen these other adaptations of WW, but from watching this movie, I could totally see how these women were wearing armor. That was the sole primary purpose of their outfits, inspired by ancient armor so that it both protected and provided flexibility. I just thought it was really interesting and that on screen it all came together really well. Chris Pine. I am so glad that he has (sort of) reemerged back into my movie viewing world. I know he hasn't been sitting around doing nothing- heck, he is kinda important in the Star Trek movies, right? But I don't watch those. At least, at this moment, I am not really into them, so to be able to experience his acting again was really nice and I really enjoy his work. I cannot wait to see what he does with his role in A Wrinkle in Time that is coming out next year. On a fun(ish) side note: Steves and planes do not go well together in super hero movies. I probably should not do this, but overall the movie was very reminiscent of Captain America: The First Avenger. Now, I do not consider this a bad thing. I loved that movie, and I loved this movie. I love learning about World War II, which may indeed having something to do with it. But for the most part I think what these two movies share is that their protagonists share a genuine goodness to them. Yes, heroes and heroines save the world which kinda makes them good automatically, but for Steve and Diana it is more than that. Viewers can tell that they both just care so much for every person around them and show amazing bravery in the great risks they take without fear, not because they aren't afraid, but because they believe that they are doing something important and right. The hardest part I would imagine in making a really good movie is the climax and how the story is going to get there. For Wonder Woman, I think they hit the nail on the head for this. There was such a good build to the final battle between Diana and Ares, especially I think because of the death of the German officer that Diana originally thought was Ares. This was something where it was believable that he was Ares, but then when there was the reveal that he was not, it also didn't seem too surprising or like it was too far of a stretch. There was just enough groundwork there for that moment for the disbelief to remain suspended without seeming completely random and out of the blue. I liked how there wasn't a super strong romance element to this movie too. Of course, Christ and Gal did a great job with the development of the feelings of their characters, but it was subtle enough not to choke the rest of the story or become an obstacle. It was barely even a side plot because constantly the attention was always on finding and killing Ares to stop the war. However, this did not stop me from getting teary eyed when the plane blew up because they had created that relationship; it just wasn't front and center in the movie. In the midst of all of the greatness though, I feel like DC movies still have to master the art of not being incredibly dark. I do not mean content; I do not mean language; I do not mean theme; I mean the lighting. Except for the scenes on the island, everything seemed a shade or two too dark. There was great improvement- I will give them that. But it still seemed unnecessarily grey or the tones a bit too dark at times. I can't image how busy Gal must have been lately between this and Justice League coming out in November, but I do know that I am looking forward to see her play this role again in this movie and how her character interacts with the others in it and what kind of awesome music they do it to because this score was pretty great and I have high hopes for JL.